Why fly into a city when you can float there? When it comes to Venice, there’s simply no better way to arrive in this intoxicating destination than on a boat. With its endless network of waterways, recreational boating has become an increasingly popular way to holiday in Europe, and skippering yourself from Casale sul Sile down the River Sile into Venice should be high on your bucket list. Boating allows you to own your time, stopping spontaneously to explore small villages en route, whenever and wherever your mood dictates. It’s like travelling in a cosy floating villa, with all the comforts of home and each day waking up in a beautiful new destination. On the water we’re able to savour the countryside and look forward to seeing something new at every turn. Long summer days we spend traipsing through towns, feasting on sumptuous local fare and sipping chilled prosecco on the sundeck as we quietly wade our way through the olive-green waters that lead to the floating city. As we make our way towards the Venetian lagoon and enter the Grand Canal, there’s traffic – and lots of it. Water buses and ferries cruise up and down the aqua lanes, leaving a choppy swell in their wake. It’s a bumpy ride and a little intimidating negotiating our new environment. But with a focused captain at the wheel and navigator to eye out the wooden markers, we’re all good. Our operator, Le Boat’s base manager is always just a phone call away for advice or to assist in the unlikely event of an emergency. Before long, we have moored at the Marina Sant’elena boat club and are exploring glorious Venice. But let’s go back a bit. There are three main attractions to discover before arriving in Venice proper. Torcello is an island nature reserve home to very few residents, which is famous for the beautiful Basilica di Santa Maria Assunta cathedral and Ponte del Diavolo (“Devil’s Bridge”). 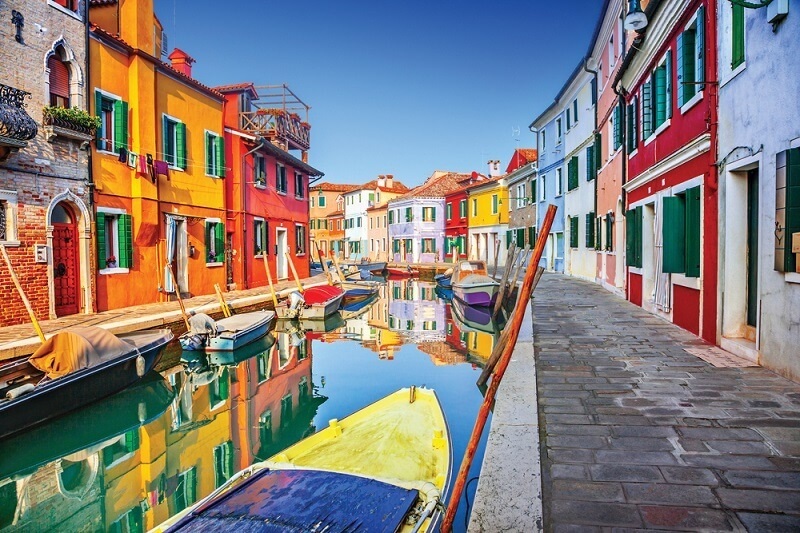 Just 5km away, Murano boasts exquisite glassware, and between them, Burano is what those familiar with Cape Town might dub the ‘Bo-Kaap of the Adriatic’. Celebrated for its kaleidoscopic facades, Leaning Bell Tower and lacemaking industry, Burano has the sterling reputation of being the happiest island in all of Italy. Nothing could quite prepare us for the grandeur, romance and antiquated glory of Venice. 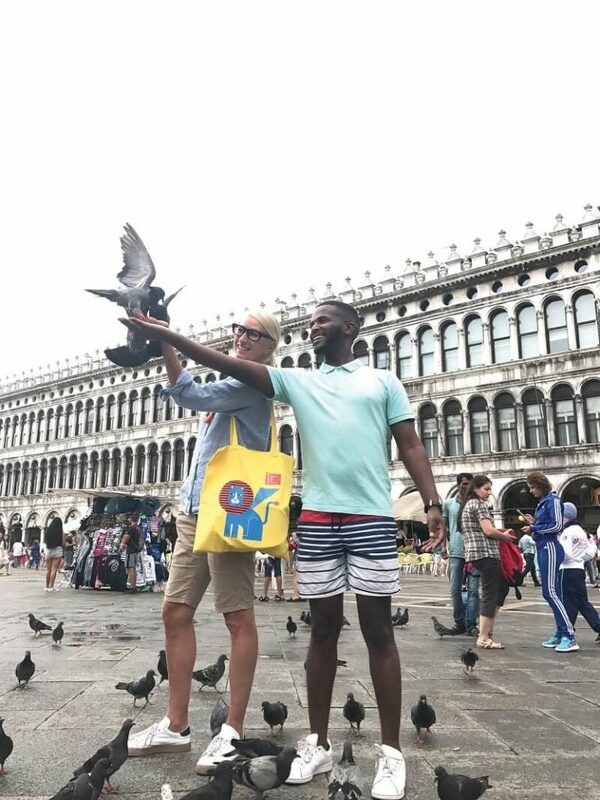 One minute we’re enjoying an Aperol Spritz (Prosecco-based cocktail) at the classy Caffé Florian on the Piazza San Marco and the next we’re dodging low-flying pigeons down narrow lanes on our way to a hole-in-the-wall restaurant (osteria) and slurping on fettuccine alfredo. 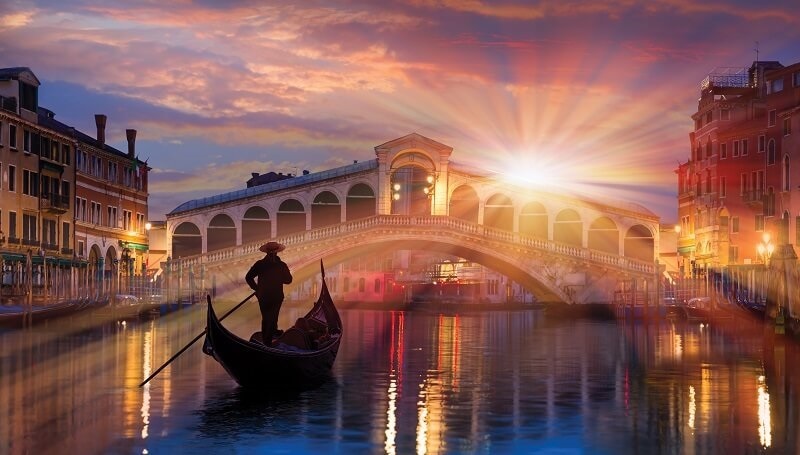 The must-see list in Venice includes the Grand Canal, Rialto Bridge and Market, Aman Hotel, Basilica San Marco, and of course Galleria Dell Academia complete with da Vinci drawings. Grab a gelato and walk the city flat. When a Venetian gives you directions – usually using his hands flamboyantly – be prepared to get lost anyway. 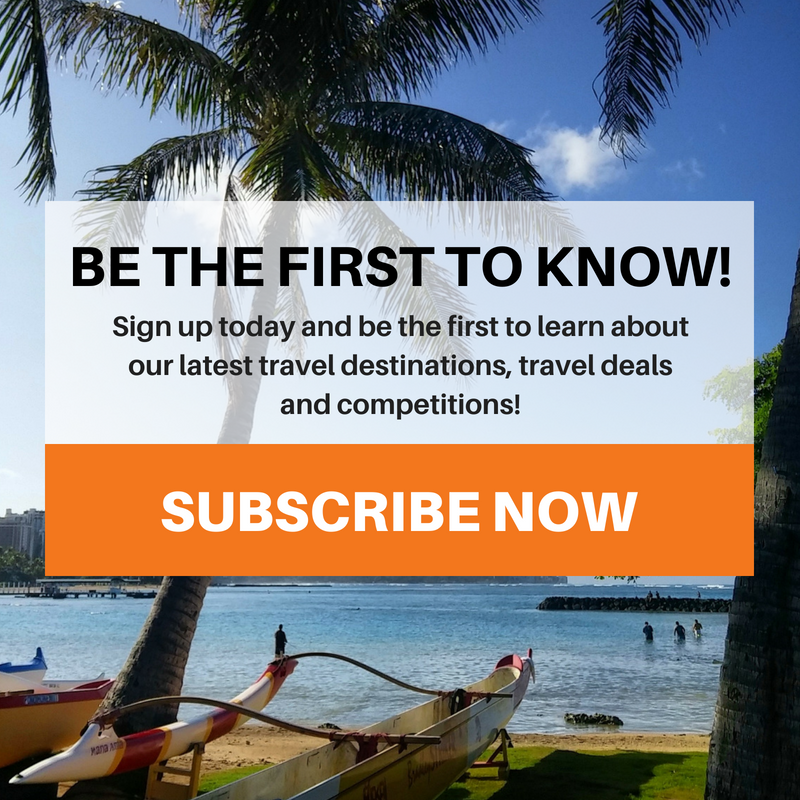 It’s all part of the fun and you’ll likely discover secret squares, haunting passageways and other hidden gems along the way. For something completely different, book a cooking class with Enrica Rocca, who accompanies you to the city’s favourite Rialto Market before setting you up in her kitchen to create some magic. One of the most incredible events in Venice is the Biennale which takes place every two years – absolute heaven for creatives and art lovers. If you can time your Venetian visit to overlap with Biennale, you’re guaranteed the cultural experience of a lifetime. Le Boat specialises in boating holidays in Italy and offers a wide selection of vessels to fit both your party size and budget. Check the difficulty level of each tour. You might fancy going straight for the Grand Canal in Venice, but first-timers are always more suited to finding their sea legs in the calm waters of Friuli-Venezia Giulia. Sailing is really, really fun – even for the uninitiated. Le Boat vessels are made for beginners, so you won’t have to learn how to tie a clove hitch or handle sails at all. Your briefing session covers what little you really need to know about the vessel, as well as how to navigate the waterways and locks. There’s nothing like mooring at the edge of a millpond-still river and sitting quietly waiting for the wildlife to appear. Your boat’s deck has glass holders and a fridge with plenty room for bubbly, so also bring that along (but you already knew that).